My favorite thing about Fall besides the beauitful colors of the leaves falling is to start cooking more savory foods for the festive winter ahead. 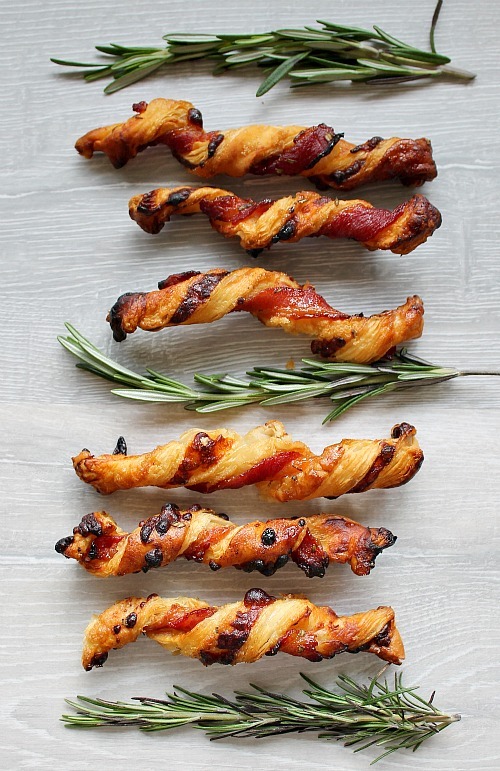 It just seems more natural to cook hearty nibbles when we can wrap up in layers and not when we are working towards that bikini body for summer. 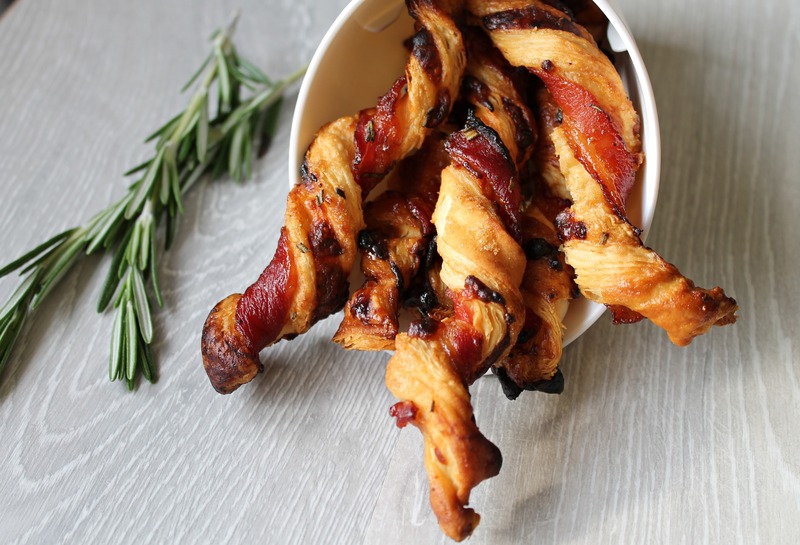 My Cheesy Bacon Twists are great for the festive season with all those drop in visitors and family coming for Christmas time. What about all those parties that need great finger nibbles and all those guests visiting would love to be greeted with these and a hot cuppa or even a brandy – tis the season! They are super simple to make, if I can do it so can you. What I love most about these is you can actually make them all up on a tray and put them in the freezer to bake at a later date. After they are frozen just remove from your tray and put them in a freezer lock bag. Nothing better than getting that phone call someone is coming over for a drop in visit and popping a dozen of these in the oven straight from the freezer. Cooking time will need to be extended slightly as they are frozen. You will be filling your house full of rosemary and brown sugar aromas and not having to do any prep work. Win for you-win for your guests. On a cutting board, place your three puff pastry sheets down. I bought pre-made fresh puff pastry that came in little 5x6ish squares. The kids love these too, so it’s really a hit with the whole family. Even though Mr P isn’t a fan of cheese he really liked these. 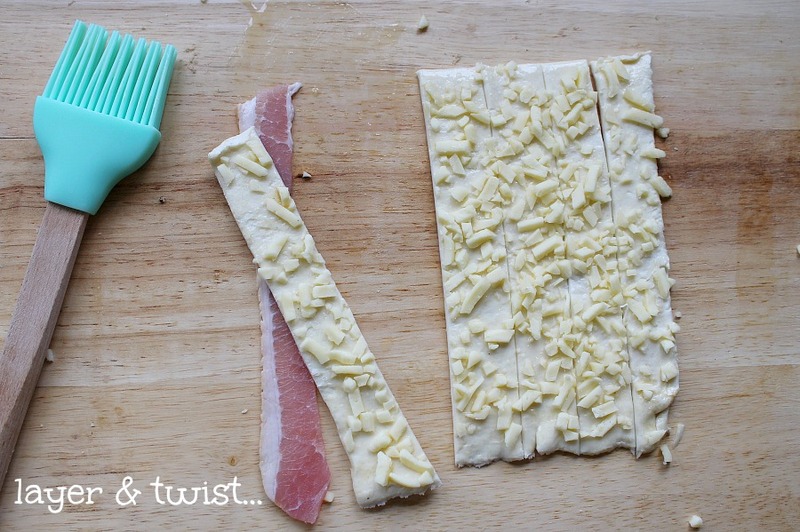 I used a mixture of grated pizza cheeses but you can use whatever cheese you like. If you prefer a more peppery taste, use peppered bacon instead of regular or even smoked for a stronger adult suitable taste. 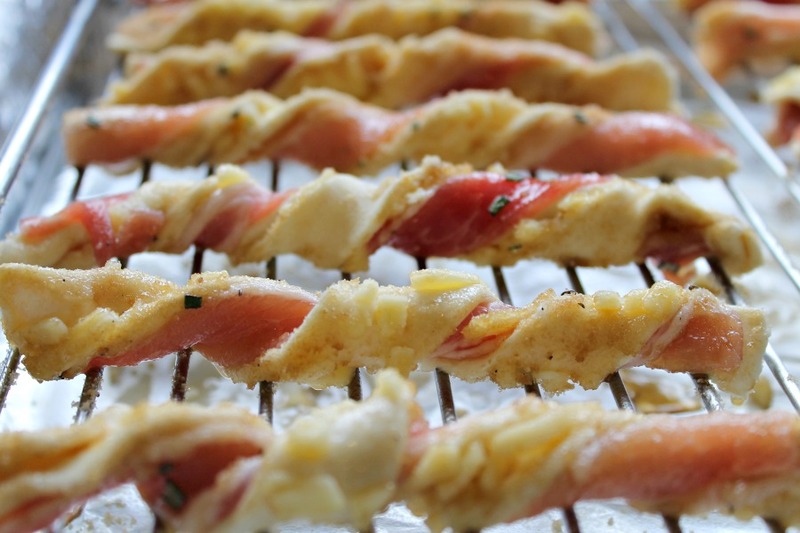 These are great for buffets, party hors d’oeuvres or just an afternoon snack on the weekend. 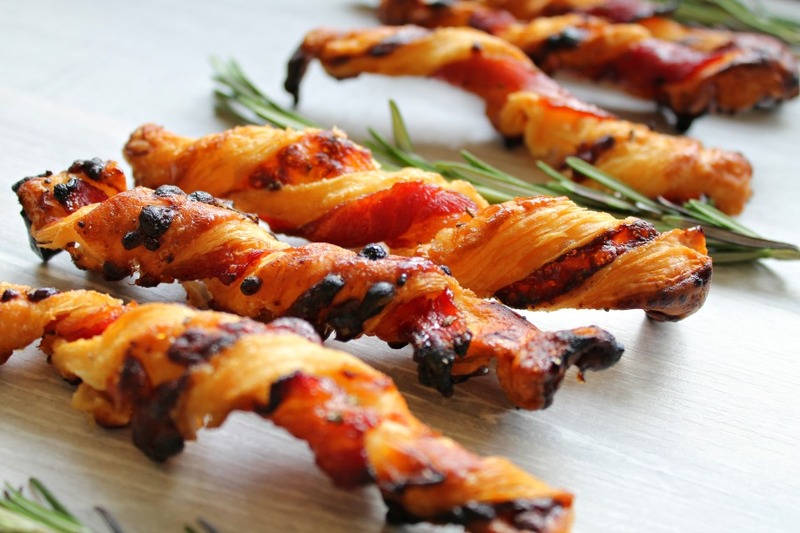 Those look yummy, perfect for a festive family party. I suspect my boys would also enjoy these for a lunchtime treat instead of sandwiches. Yes they are so easy and simple to make and you can prepare ahead of time and put them in the freezer so you can throw a handful in the oven when you need. Definitely perfect for a festive family party. Yes do and let me know what you think. So easy and quick to whip up a batch or even freeze half for a later day! This is right up my street – pinning for later. Yum! These look incredible. So tasty but so simple – those are the type of recipes I love. Oh glad you like it and hope you like it even more when you taste it. I put it on Pinterest if you want to repin for future use. Let me know what you think! Thanks Alison. Yes the kids absolutely love them. Make a batch up for the freezer and you can have them ready to pop in the oven when the kids get home from school or on the weekend with friends coming round. Oh wow, those just look to die for, please bring some over to me now! 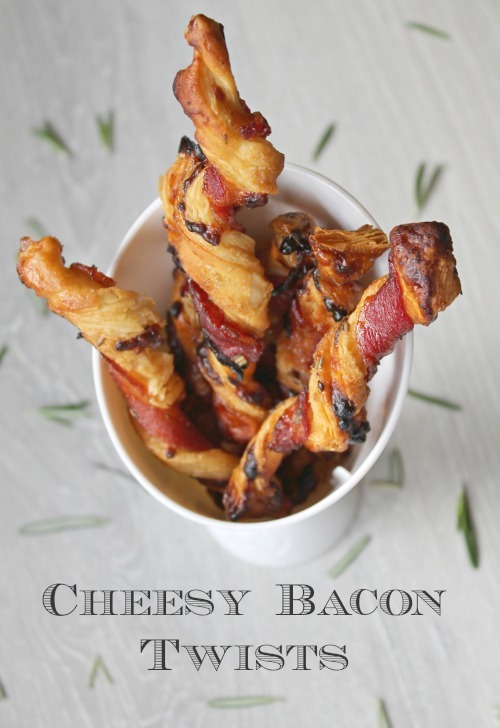 I love cheese twists, but cheese & bacon twists? Even better 🙂 Pinning now as I’m making this soon! Thanks Sophie. Yes please do I have them on my pinterest board too they are so easy to make and you can always freeze a batch for later baking. Oh wow Vicky that really just made my whole week hearing that. I really want to be a food photographer someday so that is great to hear. Lots more to learn and practice though. They are a huge hit in this house. Thanks hunny. 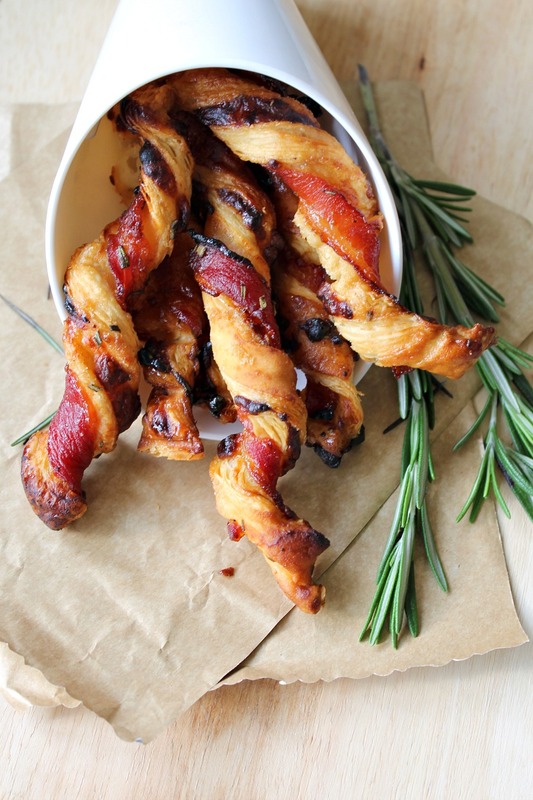 These look like perfect party food to nibble on. I think my kids would love them. I think I just fell in LOVE! 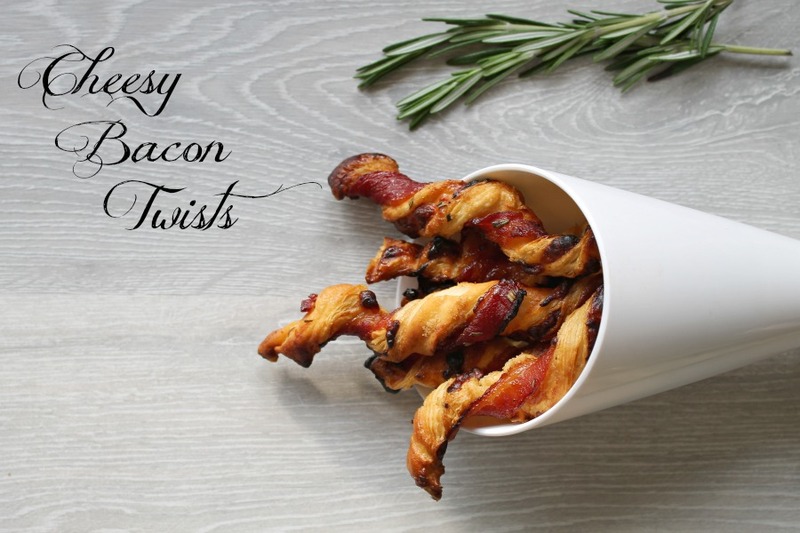 BACON TWIST YUMMY! !! They are great and so easy to make you could make these too! Promise. Thanks for stopping by and commenting.